All of us have our favourite lures. Whether it’s a battered spoon that enticed a personal-record pike or the first spinner your dad gave you, some lures just never leave your tacklebox. 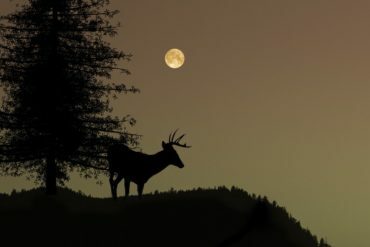 But what are the very best baits for fishing in Canada? 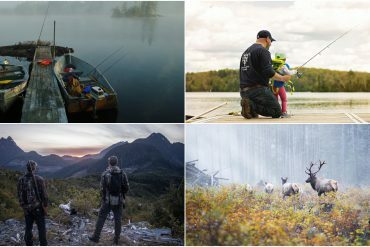 To find out, we asked some of the most experienced anglers in the land—our field editors. 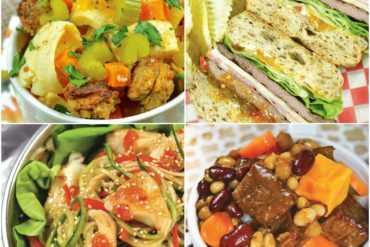 Here are their choices, ranked in order of popularity. Do you have one of Lauri Rapala’s balsa-wood beauties in your tacklebox? 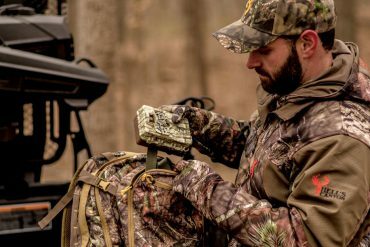 If you do, you know that the 3½-inch, 3/16-ounce model in original silver finish works best for any number of species. 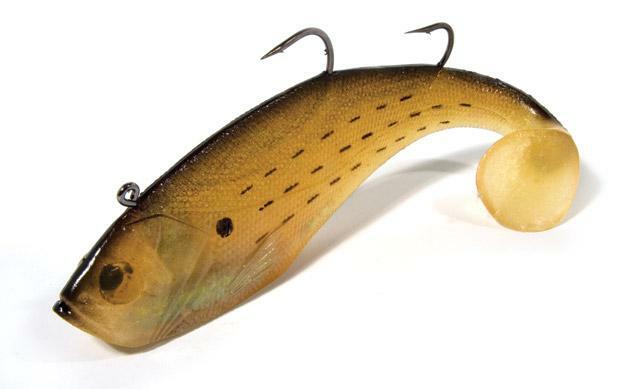 You’ll also know that the shallow-diving, septuagenarian minnow doubles as a great surface bait, especially for bass. Clip it to the end of an ultralight rod, cast it under a tree branch or by the edge of a weed patch and let it sit. Once the ripples have completely vanished, give it a twitch—and watch the world explode. 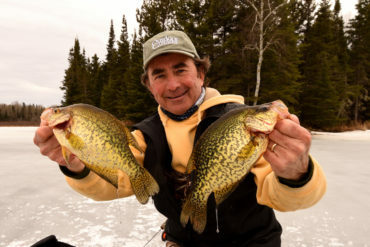 Ask around in any camp in northern Canada about the hottest lure for lake trout, pike or walleye, and the chances are the consensus will be the Len Thompson Yellow & Red. 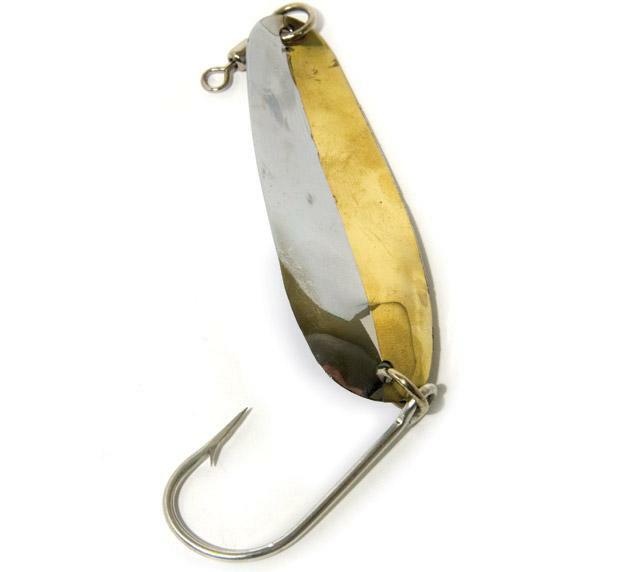 Often called the Five of Diamonds, these brass spoons produce a legendary wide wobble, making them ideal for casting and trolling at a broad range of speeds. 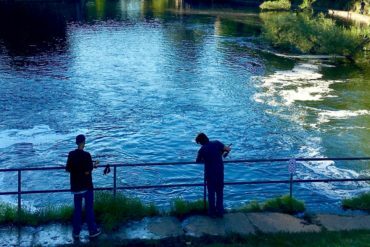 Savvy stream anglers, meanwhile, rely on tiny Yellow & Reds for brookies and rainbows. With all that demand, it’s no wonder Lacombe, Alberta’s Len Thompson has been churning out these spoons since 1929. Invented in France back in 1938, the Aglia spinner first came to North America with GIs returning home from the Second World War—and to this day its popularity endures. 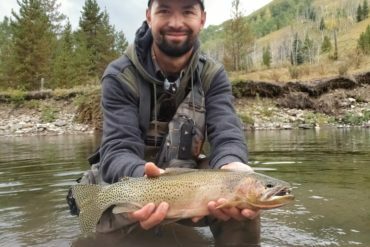 Considering the vast numbers of various fish species and record catches to its credit, the Aglia certainly lives up to its boast as the world’s number-one lure. 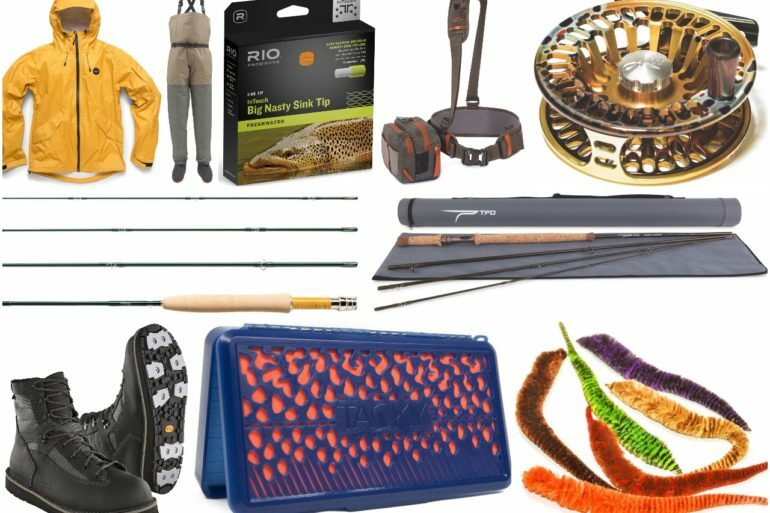 Bass, crappies, salmon, trout, walleye—you name it—virtually any fish that takes a lure will succumb to these dynamos. Ranging in sizes #00 through to #5, dressed or undressed, this is one versatile lure. 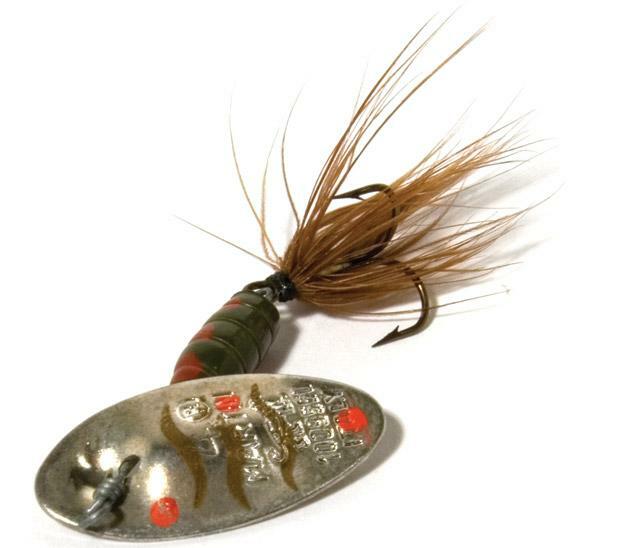 Nothing in fishing tops the excitement of a frenzied hit on a topwater, and the Jitterbug has been contributing to temporary heart stoppages since 1937. Originally designed with night fishing for bass in mind, the unique double-cupped lip creates a plopping wobble that’s now a favourite of bass and pike anglers at any time of day. 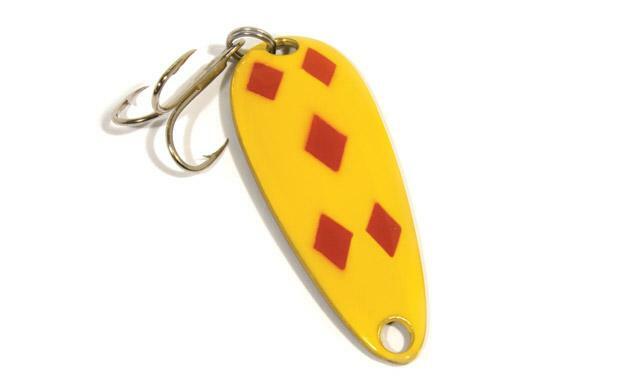 Available in six sizes, 11 colours and a jointed version, the Jitterbug is a great go-to lure whenever surface-feeding fish are on the agenda. And once you see the boil of a fish in attack mode, the only trick is to resist setting the hook before it actually strikes. 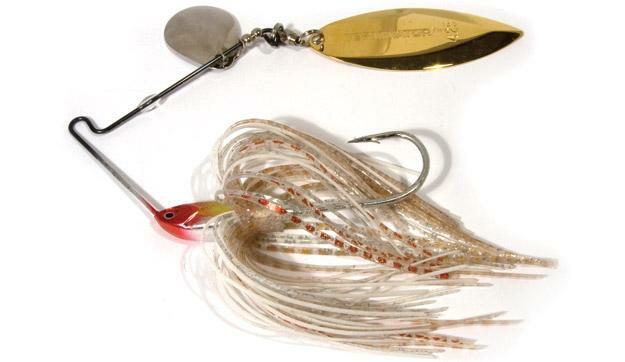 The red-and-white Dardevle spoon is one of the most famous lures of all time. Its inventor, a Detroit taxidermist named Lou Eppinger, went on a fishing trip to Ontario in 1906 with the hope of designing a great fishing lure. Spoons of the day twisted the line as they turned, but Eppinger finally broke the spin barrier with the Dardevle, named after a company of fighting Marines. Fish just love the red-and-white spoon, and though hundreds of cheap imitators are on the market, the genuine Dardevle sports a devil’s head, telling anglers they’re getting the real thing. In the 1930s, the Heddon Lure Company set out to develop a topwater for triggering bass and other surface feeders. The result? A slender wooden plug that wiggled its rear end seductively when retrieved in the testing laboratory water tank. One of the designers said the action reminded him of the scandalous girls on Zaragoza Street in Pensacola, Florida, and so was born the name Zara Spook. Now made of plastic, the lure still walks in a provocative manner that excites fish—and guys who don’t get out of the lab enough. 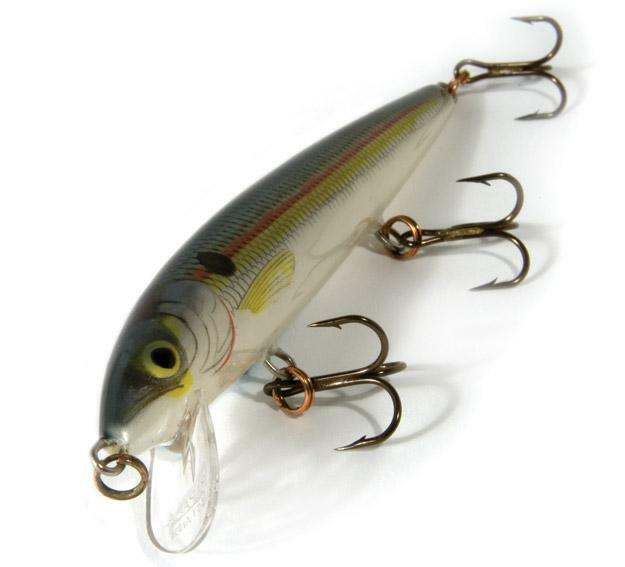 Offered in a variety of sizes and diving depths, the Shad Rap dates back to 1982. When first introduced, the lures were in such high demand that tackle shops quite literally rented them out to eager anglers. The secret of the Shad Rap is it represents a wide variety of baitfish. Whether cast or trolled, it has a slow-rolling, tail-wagging action, making it the perfect crankbait for muskies, pike, trout and walleye all season long. Each Shad Rap is hand-tuned and can be worked extremely slowly or at a fast pace, with larger models diving to 20 feet or more. 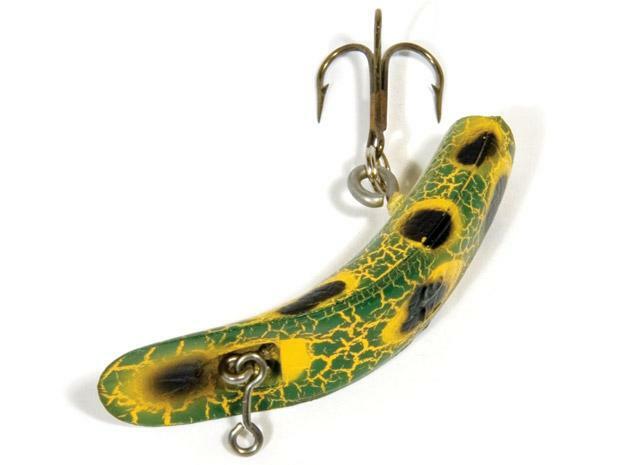 The popularity of the iconic black blade with the yellow, orange, red, green or chartreuse dots is surely due to the fact it tricks everything from panfish to salmon. That’s because the narrow blade spins close to the body, allowing it to be easily fished in shallow water, as well as mid-depths. Then there’s the vibration and flash, making it deadly in low light and murky water. And on bright days, the dark blade provides an enticing profile. Finally, that spinning flash of colour, along with the single red bead, is subtle enough to elicit strikes from the most discriminating feeders. 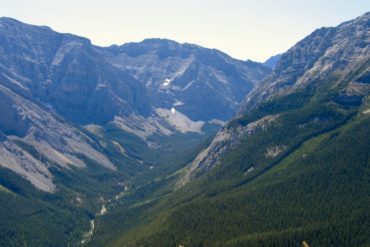 It’s been more than a century since brothers Malcolm and A.D. Williams struck it rich in the Klondike gold rush and set up a precious metals refining business in Ontario’s Niagara region. 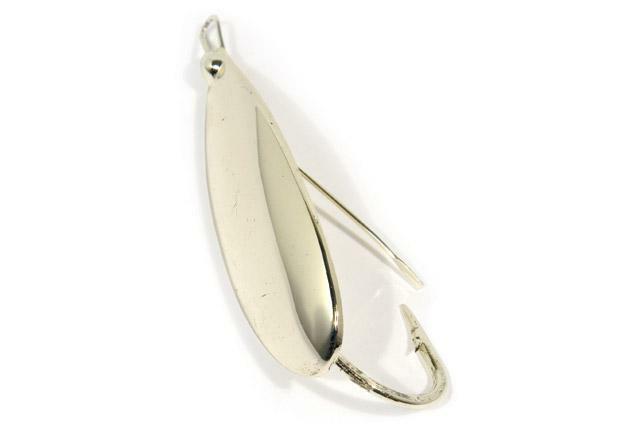 But it was in 1916 that the dedicated anglers first made their mark in the world of angling, creating their distinctive oval lure with the patented ridge. Plated with silver and gold, Wablers sport a subtle glint in the water that matches the scales of baitfish. Add in the enticing wobble and you have a lure that everything from lake trout to pike to walleye find hard to resist. On a fishing trip to northern Manitoba years ago, I brought a huge tacklebox stuffed with the latest secret-weapon pike lures. My Cree guide said, “You only need one lure here, the Johnson Silver Minnow.” I chuckled and proceeded to try to impress him with every bait in the box. After my partner was ahead of me by 50 fish, I finally snapped on an old Silver Minnow and soon began catching pike. Whether it’s the silver-plating, the 35-degree wobble or the flawless weed guard, the venerable Silver Minnow shows there are just some things you can’t improve on. The Kwikfish was designed and manufactured by Val Breitenstein in Windsor, Ontario, during the 1960s and distributed via Detroit, Michigan. In 1989, Luhr-Jensen of Hood River, Oregon, acquired the company and the Kwikfish became an essential lure for bass and pike across the continent. Equally popular on the rivers of the Pacific Northwest and Great Lakes tributaries, the Kwikfish has just the right lazy action and side-to-side travel for effective backtrolling for chinook, coho and steelhead. And in fish-holding flows, the lure runs at six to eight feet down; for deeper water, a drop weight is deadly. The Panther Martin Spinner is known for its unique concave-convex blade, designed to produce sonic vibrations to attract fish. I always have an original version with the yellow and red body in my tacklebox. Attached with a swivel, the spinner can be cast and retrieved in any type of water, making it as popular on flowing rivers as it is on lakes, where the weighted body also allows it to be trolled. The Panther Martin was originally designed for trout fishing, but I also like it as a search lure for the likes of perch, and even walleye. 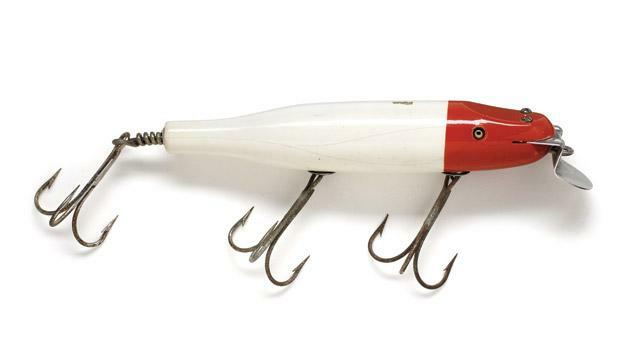 Renowned Finnish lure maker Lauri Rapala had already carved his place in fishing history by the time his company introduced the Husky Jerk in 1995. Based on Rapala’s standard balsa-wood minnow pattern, the suspending jerkbait features a noise-producing rattle chamber and a wounded-baitfish action that’s irresistible to bass, muskies, pike, trout and walleye. There’s also an appropriate size and colour for nearly every fishing scenario. Best of all, the Husky Jerk’s neutral buoyancy means it stays in the strike zone longer, whether it’s cast and retrieved or trolled. This fantastic bait allowed me to establish a new personal record on Quebec’s Caniapiscau Reservoir: 108 big lake trout caught in just one day. It’s a great lure because you can drag it, jig it, troll it, jerk it or simply swim it back to the boat or shore. 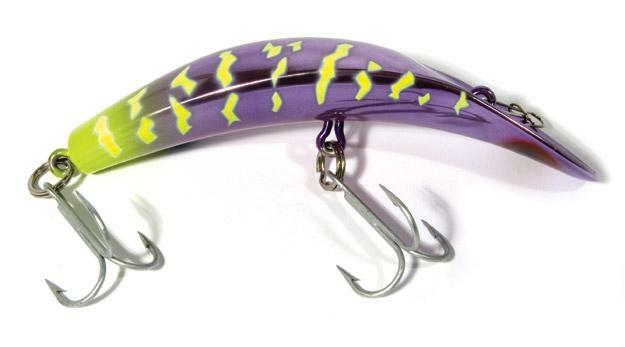 Bass, muskies, pike and walleye just love the incredibly life-like swimming action of the tail, while the holographic eyes and internal holographic flash foil help attract fish from afar. The Swim Shad is available in five versions, from two to nine inches long. 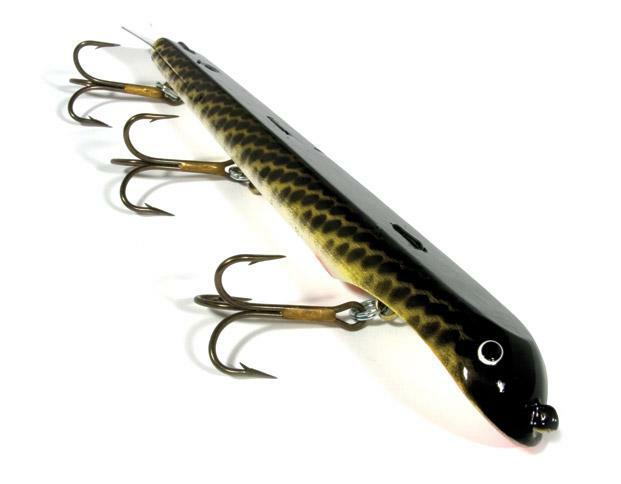 The Thriller’s unofficial name is the Suick Stick, because, well, that’s what this muskie bait is: a nine-inch chunk of kiln-dried cedar fitted with three massive hooks. 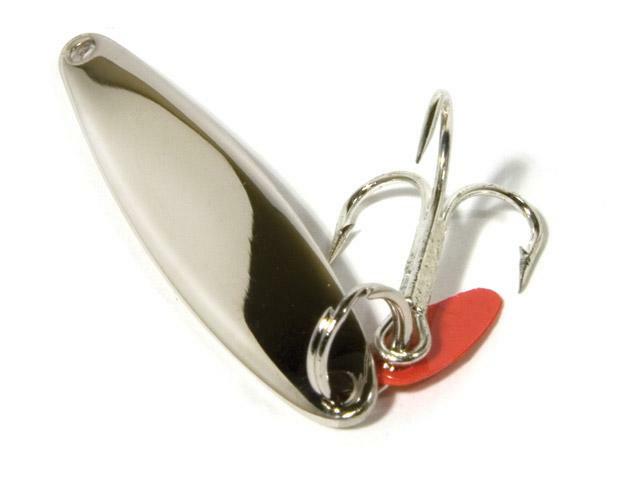 Oh, and a stainless-steel tail that can be bent at different angles to adjust the lure’s running depth. 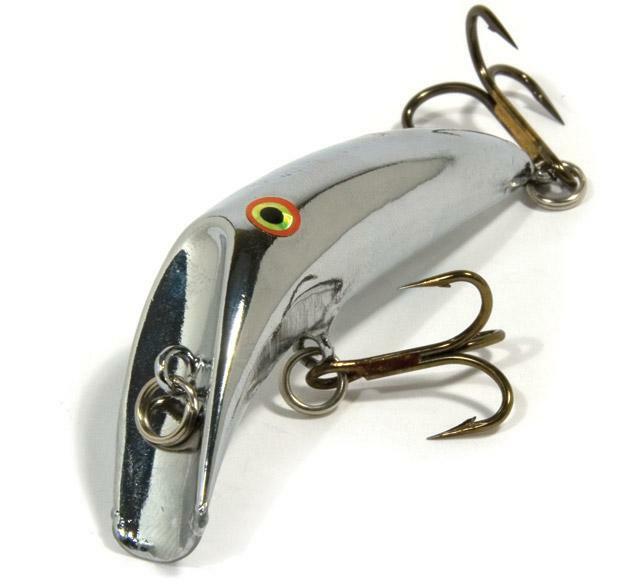 Some argue the Suick is passé, overtaken by today’s slick crankbaits and massive spinners. 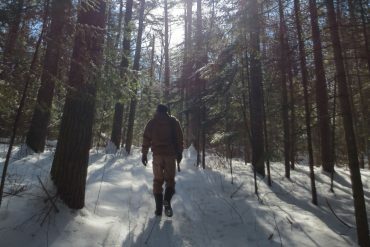 But there’s something about their stark simplicity and old-school construction—and the fact they’ve been catching fish for more than 60 years—that continues to exert a powerful pull on dyed-in-the-wool muskie hunters everywhere. 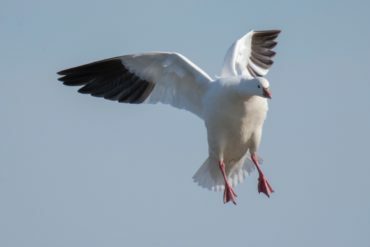 This bait’s square bill and fat body allows it to be fished through heavy wood cover with ease, and when it’s pulled over submerged weeds, hang on! After all, the Big O has been consistently catching big bass for more than 40 years. Around weeds, I prefer to fish it with braided line, allowing me to pop it free if it gets hung up. 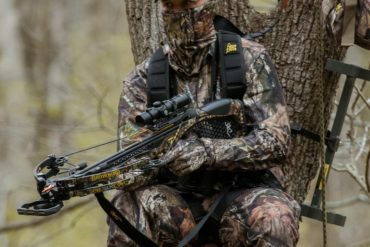 In more open water or around hard cover, such as wood and rocks, fluorocarbon gets the nod. 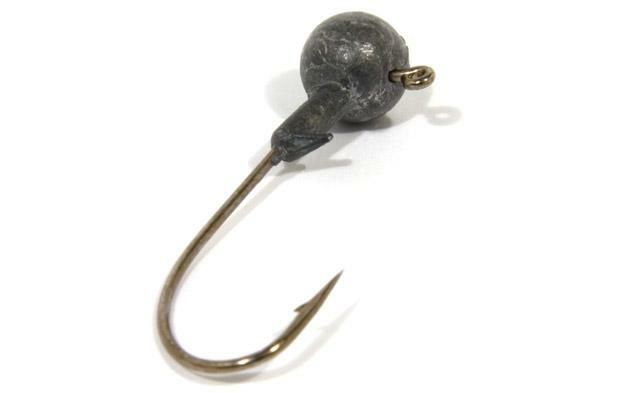 This is one classic bait that has stood the test of time. With its unique swimming action, this popular classic has been catching fish since Charles Helin first designed it in 1932. In fact, I still like the Original FlatFish F series for fishing trout lakes. I’ve caught hundreds of rainbows on the F-4, for example, which I often modify by replacing the treblehook with one that’s one size larger. The small versions of the FlatFish are deadly on rainbow, brown and brook trout, while the larger sizes are great for big predators, such as lake trout and pike. If I had to choose only one spoon to catch all species of the salmonid family, be it trout or salmon, I would pick this versatile lure. 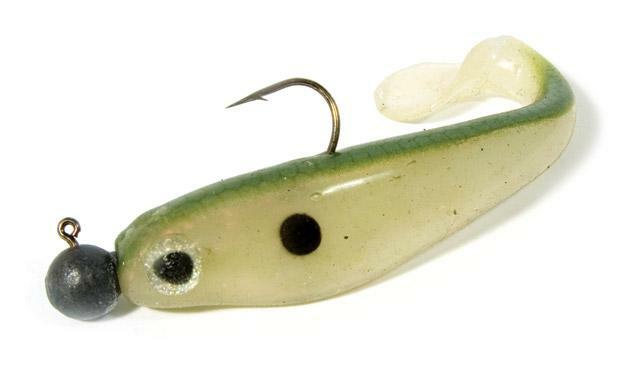 Invented more than seven decades ago, the Wobbler perfectly imitates a baitfish with its shape and movement. For brook trout, you can use any of the five different sizes and tip it with a worm. For rainbow, brown and lake trout, I like to troll or cast the Wobbler, especially the version with the silver front and copper back. Some 25 years ago, angler Dan Cunningham of Columbus, Mississippi, got tired of weedless frogs that weren’t, well, entirely weedless, so he spent two years developing a superior performer. Enter the Scum Frog. Throw one into the worst slop imaginable and it just won’t hang up. Hit an open hole and it floats. And when a serious largemouth busts its way through the goop for a meal, it stays attached. While the original was all green, Cunningham’s Southern Lure Company now offers 16 different colours and 12 specialized designs—and its weedless guarantee. 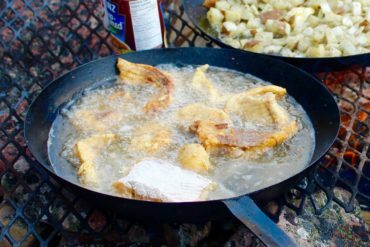 The Hot ’N Tot, introduced by Storm Lures in the 1970s, could quite possibly be the perfect lure for summertime walleye. Producing a very fast tight wobble, it can be trolled at speeds of up to 8 km/h, allowing anglers to cover water in a hurry. Combine that with the fact the larger models can attain depths of 40 feet or more, and you can search the entire water column with ease. And if that weren’t enough, the Hot ’N Tot comes in 23 different colours. Akron, Ohio’s Fred Arbogast is a lure-design legend. 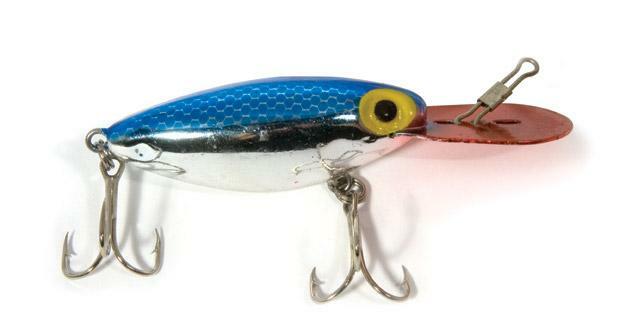 During his lifetime, he created several iconic baits, including the famed Hula Popper. Just cast and let the lure sit until the rings have disappeared, then pop it gently, and wait again. No action? 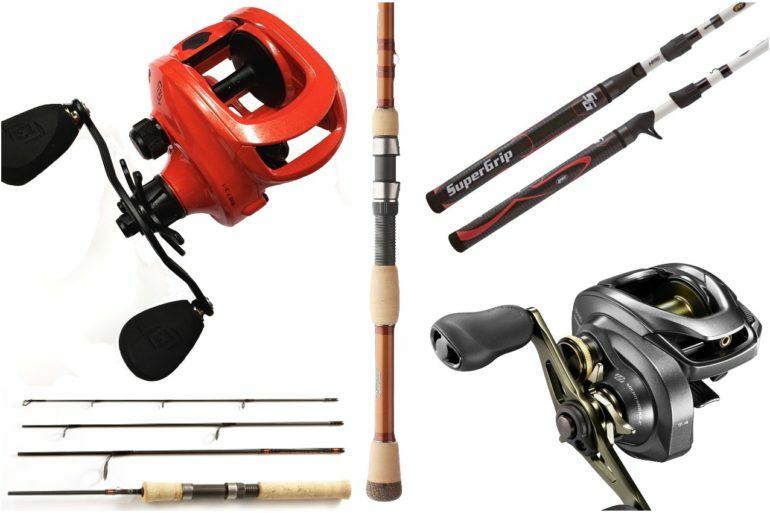 Reel, pop, and wait once more before reeling in to cast at a new target. 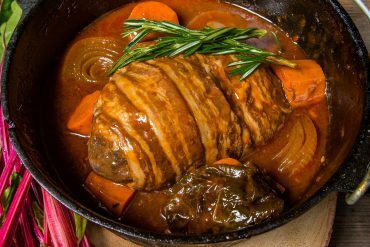 My best results have been with a 3/16-ounce black version with a black & white skirt. 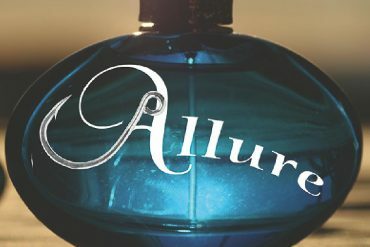 As the light fades, cast to within a foot or two of shore or even closer to other structures. Then get ready. With a basic design that can be traced back more than a century to Sweden, this jigging lure is a mainstay for ice anglers across Canada. 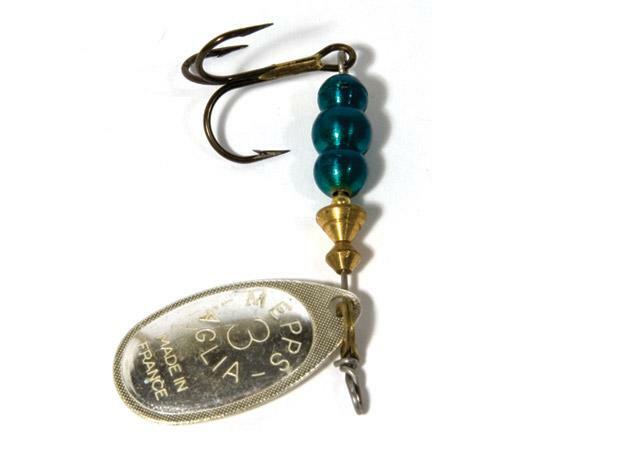 Manufactured by the Bay de Noc Lure Company since 1955, the Swedish Pimple tipped with bait is effective whether still-fished, vertically jigged or slowly drifted. 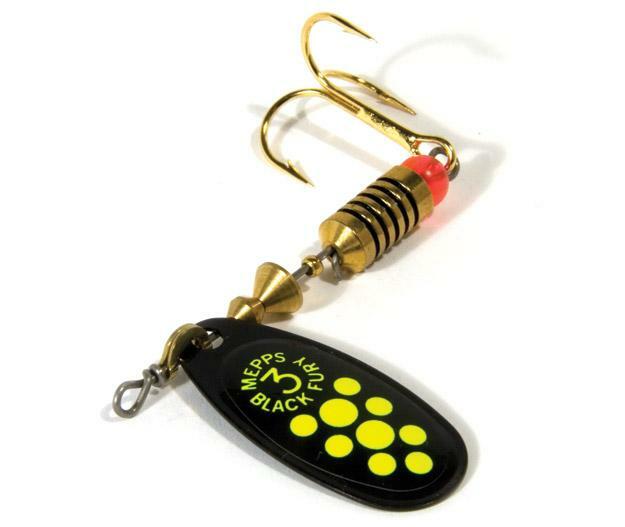 Available in 10 sizes and 18 finishes, the Pimple is deadly on everything from panfish on up to lake trout. And while most of us turn to the Pimple only when the water gets hard, it’s also a proven producer in open water, both fresh and salt. 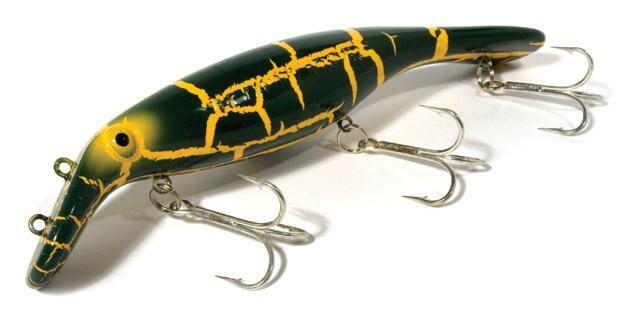 Created in 1975 by Carl Northdruft in the heart of Michigan’s pike and muskie country, this is one jerkbait you can’t be without if you’re serious about catching bruisers. Cast a Believer over structure, let the beast lie for 10 seconds, then crank hard to take it down before easing off to let it float back up. After dark, I’ve had great success trolling these lures for muskies and pike along weed edges in the waters around Montreal. I’ve also taken bragging-sized walleye with them. I guess you could say I’m a true believer in the Believer. 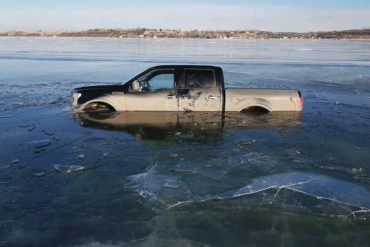 For the past two years, I’ve had bass, pike, muskies and walleye all succumb to the Hollow Belly—including an eight-plus-pound largemouth last summer. Available in four-, five- and six-inch versions, it truly is a multi-species bait. For any species in shallow, heavy cover, simply fish it Texas-rigged. For more open water, rig it with the supplied treble swinging free. 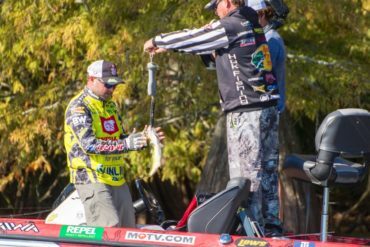 I always fish the Hollow Belly on a heavy-action rod, and for open water, 15- or 20-pound-test fluorocarbon is the ticket. For heavy cover, spool on heavy braid, maintain a steady swimming retrieve and hold on! After years of tinkering and testing, the late Walter Lindquist Sr. of Windsor, Ontario, created the legendary hollow-brass Canadian Wiggler in 1945. With its outstanding action, this durable lure has been my first choice for nearly 40 years when it comes to evening trolling for walleye. After sunset, I like to slow-troll a Wiggler parallel to shoreline weedbeds or other shallow structure. I also cast it to structure or the outside edge of reeds to seduce pike and bass. Perhaps, someday, a muskie will join the list. 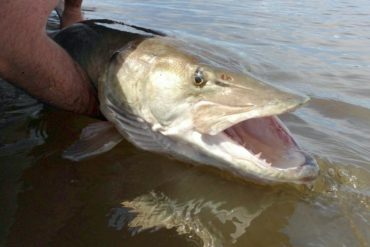 Few lures have been synonymous with giant fish, especially muskies, longer than the venerable Pikie Minnow. Introduced in 1919 by Indiana’s Creek Chub Bait Company, the big plug was manufactured in Canada under licence by Allcock, Laight & Westwood from 1927 into the 1950s. Today’s version, the eight-inch Creek Chub Wooden Pikie, follows much the same design as its classic forebear. For big-fish hunters, a battle-scarred Pikie is a badge of honour. They’re equally deadly whether you’re casting or trolling; just vary the speed so that it occasionally breaks the surface—and triggers those explosive hits. 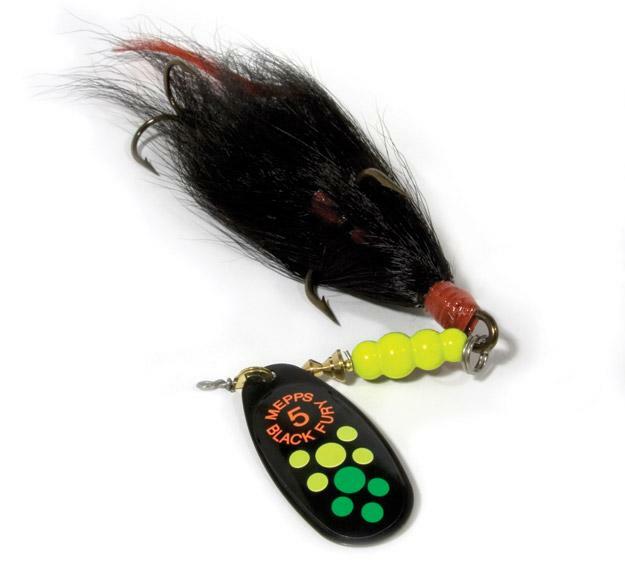 For attracting big predators such as muskies and pike, nothing creates more vibration and flash in the water column than this big, bad bucktail. My favourite is the Black Fury edition (shown here), available in a single-treble, half-ounce version or as a tandem-hook model weighing one ounce. Whatever the style, all Musky Killers feature extra heavy-duty, tack-sharp 5/0 VMC treblehooks for solid hooksets. 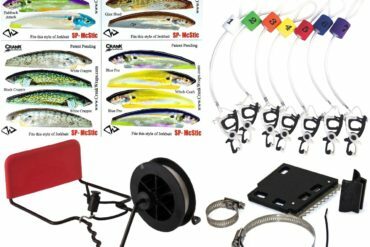 Whether you’re fishing the fall cabbage patches or the early-season flats, this hefty spinner always promises to produce. 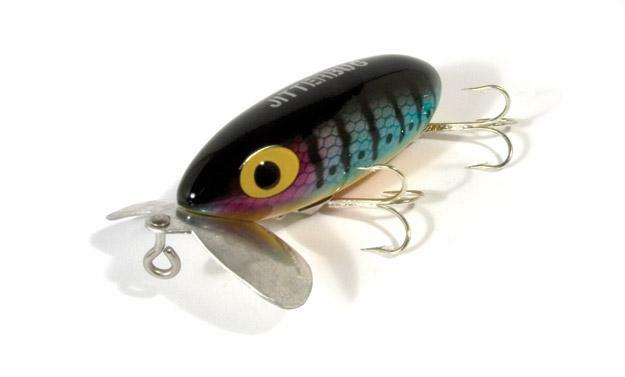 There’s nothing like a crankbait for covering a lot of water in a hurry, and one of the best is the Model A. Moulded in the popular pregnant shad design, this lure has been a tournament workhorse for decades. Because of its durable moulded lip, the Model A is great for cranking around rocky points and islands in the fall for giant smallmouth. 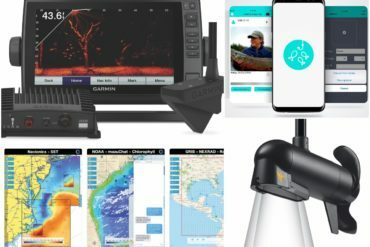 Another appealing aspect of this lure is its built-in action, making it a winner with novice anglers who need only to cast it out and start cranking. This top-dollar jerkbait from Japan is worth every penny when it comes to putting big smallmouth bass in the boat. The erratic action drives fish wild—retrieve the lure with a few jerks, then pause and be prepared to have the rod ripped from your hands. Indeed, you’re best armed with a 6½-foot medium-fast-action spinning rod spooled with 14-pound-test FireLine. In the early season, fish areas adjacent to spawning flats, but as the season progresses, don’t hesitate to cast over deeper water—giant smallies have no qualms rising 20 feet to attack this tantalizing bait. The Clendon Stewart was originally designed in 1923 and used by commercial fishing trollers in Alaska, but its ability to catch salmon soon caught on with sport anglers. 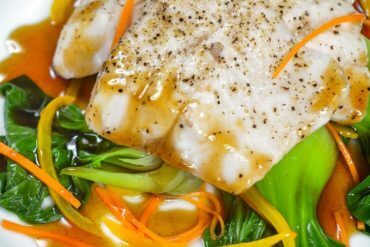 Although the spoon is mostly used for West Coast chinook and coho—in both the ocean and rivers—it’s also extremely effective for halibut, lingcod and rockfish when fluttered in the current on a jigging outfit. Available in seven sizes and a variety of colours and finishes, this lure is a surefire producer—the biggest chinook I ever caught was on a Clendon Stewart trolled along the edge of a kelp bed.